Truly one-of-a-kind! A labor of love, this home has remarkable detailing around every corner! 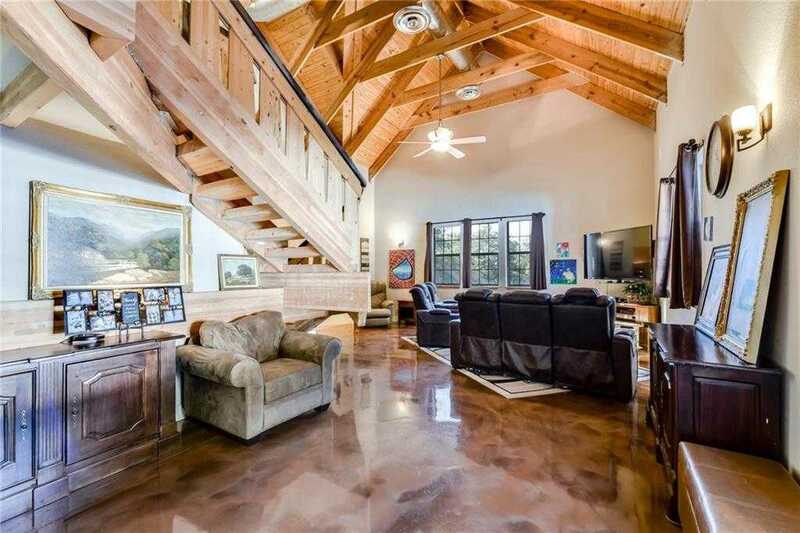 The 2-story family room features epoxy coated concrete floors, exposed timber ceiling & custom crafted stairs. The kitchen features hickory cabinets, chef’s sink, and wraparound bar with concrete counters that look like real wood. xD; xA;The master retreat includes a spacious bedroom, kitchenette, and office/workout room. The master bath features a unique artisan-made shower. This is a must-see home on 2 lovely acres!